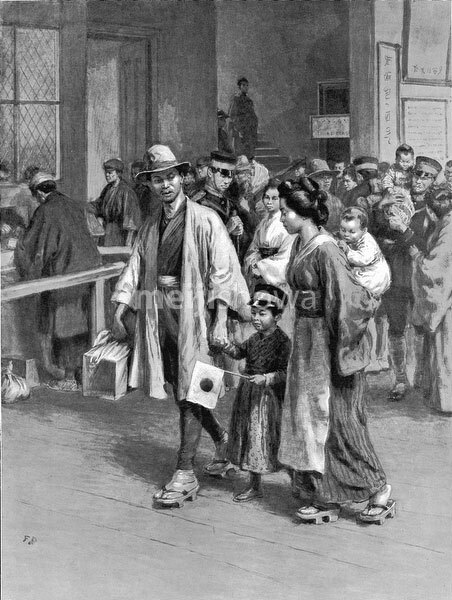 Japanese reservists take leave from their families at a railway station during the Russo-Japanese War (1904–1905). Published in the British illustrated weekly The Graphic on July 2, 1904 (Meiji 37). Art by British artist Frank Dadd (1851–1929).